For more general information about the process of buying a vehicle, visit the Buying a Vehicle page. A part or system under warranty must not be working. The problem must be significant enough to substantially reduce the vehicle’s use, value or safety. Each malfunction must be reported to the manufacturer or dealer. They will have an opportunity to fix the problem. At least three failed attempts to fix the problem must be made (at least one attempt if the problem is likely to cause injury or death), or the vehicle must be in the shop for a combined total of 30 or more calendar days (60 or more calendar days for a motor home). Note: Oregon does not have a three-day right of cancellation for vehicle purchases. So unless it is in your sales contract, you cannot return your vehicle without a legal reason. If you have been sold a lemon, contact a private attorney to discuss your options. The Oregon State Bar referral service can help you find an appropriate legal representative and can be reached at 503-684-3763 or toll-free in Oregon at 1-800-452-7636. 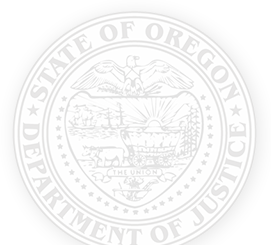 Please visit the Oregon State Bar » for more information.